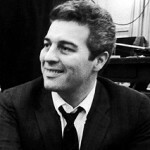 Sydney Chaplin (b. Los Angeles, CA, March 31, 1926), not to be confused with his namesake (half-) uncle Syd Chaplin (1885–1965), Charlie Chaplin’s (1889–1977) half-brother and financial manager, is an international stage and screen actor, with nearly thirty films – in English, Spanish, German, Italian, and French – to his credit, and a comparable number of television appearances. 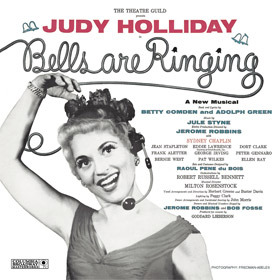 He starred in several Broadway musicals early in his career (Goodbye Charlie 1959–60, Subways Are for Sleeping 1961–62) and won the 1957 Tony Award® for Best Supporting or Featured Actor in a Musical for Bells Are Ringing opposite Judy Holliday. 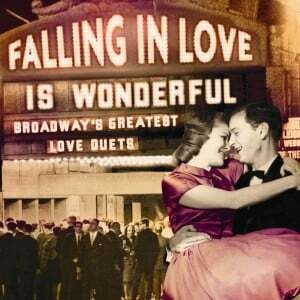 He also had a Tony® nomination for Best Actor in a Musical in 1964, for Funny Girl, opposite Barbra Streisand. 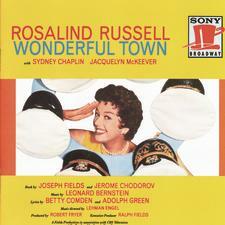 In November 1958, a special television production of Leonard Bernstein’s Wonderful Town was broadcast starring Sydney Chaplin and Rosalind Russell. The soundtrack album was released, and the performance is now available on DVD. Chaplin was romantically involved with Joan Collins while working on Land of the Pharaohs in 1955; shortly thereafter, he had a notorious affair with ill-fated British actress Kay Kendall (1926–1959), whom he met on the set of Abdullah the Great. He had two short-lived marriages before meeting his present wife Margaret Beebe. They were engaged for fourteen years before marrying in 1998. Chaplin owns and operates a popular restaurant in Palm Springs, California, that bears his name.